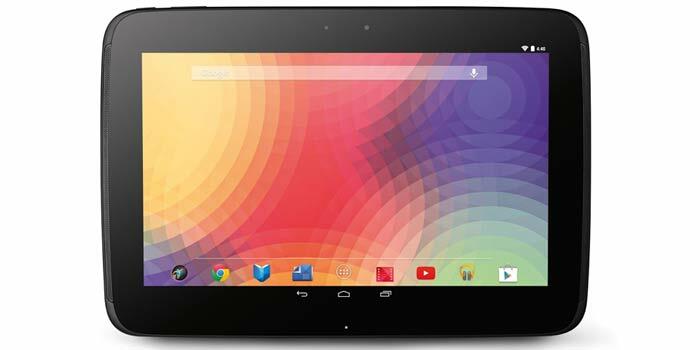 Google Nexus Foo caught with 10.3″ display, Tegra 4 and…. Android Wear OS? While there have been multiple leaks of an 8-inch or 9-inch tablet arriving from Google, a new device has hit the rumor mill under the Nexus Foo name. What’s interesting is that the device appears to be a 10.3-inch slate with FHD visuals and a powerful processor, but it doesn’t run on the usual Android release. Simply put, the Google Nexus Foo looks to be a very suspicious device. PhoneArena managed to spot it at the GFXBench website where a good deal of specs has been divulged. Instead of KitKat or L platforms, the slate is shown to run on Android KKWT OS which is a Wear release for smartwatches. Additionally, the benchmarking website hasn’t listed it as a tablet and states that the device doesn’t even have a touchscreen. Nevertheless, there are some pretty beefy components onboard such as a 1.9GHz quad core Tegra 4 processor and 2GB of RAM. The 10.3-inch display offers 1920 x 1080p visuals, while there’s 16GB of internal storage. And while the device comes with a front snapper, it doesn’t feature a rear camera, and the usual set of sensors such as accelerometer, barometer, gyroscope, proximity, compass and GPS haven’t been included. Clearly, the Foo looks to be more like a notebook or an AIO PC rather than a tablet. What’s also interesting is that the moniker used here doesn’t fit with Google’s naming policy for the Nexus lineup which solely comprises of aquatic codenames. The best explanation for the Google Nexus Foo is that it might be a prototype notebook, but that still doesn’t explain why it’s running Android Wear OS. Then there’s the second possibility of the benchmark listing being fake as such information can be easily put together.